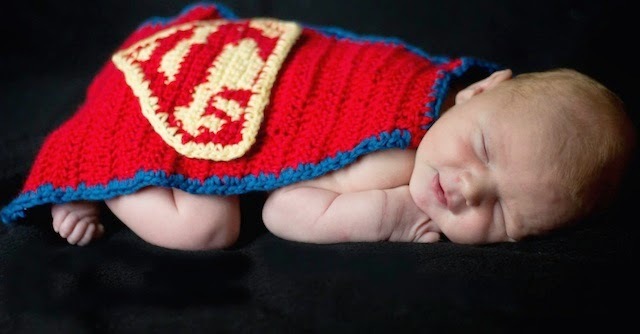 I just wanted to post this photo, which is much more appropriate than the last one, of the cape I crocheted for my sister in law, only this time there's a beautiful new baby boy in it. Welcome to the world, Baby Judah. What a cute little cape! I love the shot, the light and the expression of baby Judah. Thanks, Elena! His mother took this photo. Isn't it great? I'm so pleased that the little cape worked for her.